John joined the Society for Cryobiology in 1969 and was elected a Fellow in 2009. Dr. John G. Baust is the UNESCO Professor of Biological Sciences and Director of the Institute of Biomedical Technology at the State University of New York’s Binghamton University. Dr. Baust received his Ph.D. in Physiology from the Institute of Arctic Biology, University of Alaska and directs multidisciplinary research programs in translational cryomedicine including cryogenic engineering, cryoablative strategies in cardiovascular disease and cancer therapy along with programs in cell/tissue/organ cryopreservation at both the University and within the biotechnology industry. His research is focused on identifying and managing cell signaling pathways (cell death cascades) activated during thermal stress. Dr. Baust is Past President and a Fellow of the Society for Cryobiology. 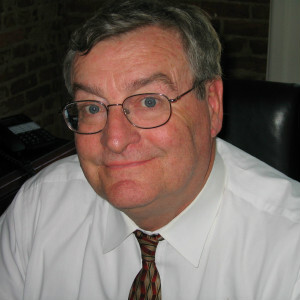 He is a Fellow of and has served two terms as President of the American College of Cryosurgery, is a member of the American Urological Association Best Practices Panel on Cryotherapy of Localized Prostate Cancer, is Founding Editor and past Editor-in Chief of the journal Biopreservation & Biobanking, is the U.S. Delegate to and Commission President of the International Institute of Refrigeration and serves on the editorial boards of various journals. He has authored or co-authored more than 500 peer reviewed research and reviewed articles, book chapters and abstracts, holds dozens of patents in cryomedicine, serves on numerous grant review panels and consults extensively with government and industry. He co-edited the CRC text Advances in Biopreservation. Dr. Baust has also served President and CEO of Cryomedical Sciences, Inc. (NASDAQ: CMSI) and BioLife Solutions, Inc. (NASDAQ: BLFS). In 2015 he was appointed Editor-in-Chief of the journal Technology in Cancer Research & Treatment (TCRT). As UNESCO professor in cryobiology and cryomedicine, his charge under this appointment is to work with various institutes in both the Ukraine and Russia to assist in the acceleration of the “westernization” of their science. Since 1990 Dr. Baust transitioned his research and professional career from th study of natural systems freeze adaptations to cryomedicine. Initially, he co-founded LifeCell Inc. as well as Cryomedical Sciences, Inc., as the Vice President of Research and Development of the latter. As a result, new contemporary cryosurgical instruments, cryoprobes, thermosensors and other accessory devices were developed that created a novel technical armamentarium that is currently used in modern cryosurgery. Together with clinical colleagues, he had conceptualized and pioneered a minimally invasive cryosurgical procedure for prostate cancer through a transperineal approach that remains a gold standard for the treatment of localized prostate cancer. From this revolutionary approach in clinical cryosurgery, the fundamental manuscript “Transrectal ultrasound-guided percutaneous radical cryosurgical ablation of the prostate” was published in the journal Cancer (1993). This paper remains as a strong background of contemporary cryosurgery and often cited in the literature. 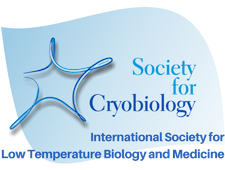 The other manuscript “Mechanisms of Tissue Injury in Cryosurgery” by Gage and Baust (1998) was the most highly cited article published in the journal Cryobiology in the field of cryosurgery. Many thousands of clinical cases using a transperienal approach for prostate cryosurgery have been successfully treated with excellent long-term cancer control outcomes (10-year) (Urology (2008). In November of 2008 the American Urology Society published a Best Practices Policy for the treatment of prostate cancer in the Journal of Urology. 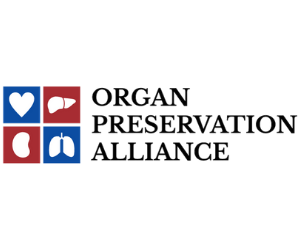 The 2008 AUA Best Practice Policy Statement on Cryosurgery recognized primary cryoablation (Evidence Level II-2/3) as an option, when appropriate, for men who have clinically organ-confined disease of any grade with a negative metastatic workup. Salvage Cryoablation (Evidence Level II-3) was accepted for curative intent, in men who have failed radiation therapy. In recognition of his expertise, Dr. Baust was invited to this panel of experts-clinicians as the only non-MD invited to co-author a clinical protocol. Dr. Baust’s laboratory is widely recognized for its leadership in the field of cryoablative procedures in vitro. Google Scholar recognized Dr. Baust as the most cited author in the field of cryosurgery in the 1990’s. Dr. Baust’s laboratory has moved the field of cryoablation into the realm of low temperature related molecular biology. From a scientific standpoint, quite a few discoveries have been made in Dr. Baust’s laboratory. In 1998 his laboratory first described programmed cell death (apoptosis) following a cryosurgical procedure in vitro. This outstanding event has influenced the subsequent development of cryobiology and cancer therapy giving researchers the possibility to enhance apoptosis for more efficient eradication of primary tumors. It also endorsed a new era of clinical cryobiology and cryosurgery at the novel molecular basis thereby changing the treatment paradigm for many localized cancers of other organs and systems. This discovery facilitated developing the concept of cryo-chemo combination therapy for high-risk patients as reported by his team in Cryobiology (2001, 2004, 2007), the British Journal of Urology International (2005, 2008, 2012), Technology in Cancer Research & Treatment (2004, 2007, 2016, 2018), Nature’s Prostate Cancer & Prostatic Diseases (2007, 2010, 2011, 2013, 2015), the Journal of the American College of Surgeons (2007), Current Opinions in Urology (2009) and the Journal of Urology (2008, 2010) and Cryobiology (2014). It has been shown that a combination of cytotoxic drug can synergize the cryodestructive effect especially at the periphery of the tumor or beyond the prostate capsule where tumor cell survival is more likely and may result in subsequent tumor recurrence. Based on the experimental data of Baust’s group, cryosurgeons are trying to clinically implement this concept for patients with a high-risk of failure. Within these few decades Dr. Baust consistently has been working on improving cryosurgical techniques by being an adviser and research consultant to leading cryosurgical companies in order to make the procedure simple, safe and efficient while minimizing complication rates such as impotence and incontinence. Further, he has present hundreds of lectures and tutorials at clinical centers world-wide on this field. These changes would not have occurred if not for the contributions of his lab. In partial recognition of these contributions, the International Society for Cryosurgery awarded in 2013 their Gold Medal for Distinguished Service to Dr. Baust. Additionally from his leadership, novel cryoprotectants were developed in his laboratory which have been successfully introduced into clinical practice of contemporary clinically-based cryopreservation . Dr. Baust was the first to report on the discovery of trehalose (1973) as a natural cryoprotectant found in freeze tolerant invertebrates. He founded BioLife Solutions, Inc., whereby the preservation paradigm was changed to build upon the basic cryobiological principles with the addition of a molecular biology field. He is the author of the concept of the “hypothermic continuum” which explores the prolonged oxidative stress that occurs during the preservation cycle. Ultimately, Dr. Baust’s lab created a new category of cryopreservation media (CryoStor™) that was widely adopted within the cell therapy, cord blood and stem cell areas. These serum-free, DMSO-lite, protein-free formulations are now widely used as direct injectates in cell therapy applications. This development has reduced the industry-wide preservation impediment and has directly led the FDA to issue its first guidance in the field of cell preservation allowing labeling of these products “For Human Cell Preservation.” The long-term impact of these discoveries will continue for years to come. Editor-in-Chief and founding editor. Cell Preservation Technology. (2002-2009) Official journal of the Int’l. Society for Biologic and Environmental Repositories. Chair – Scientific Advisory Boards (LifeCell, Inc., Cryomedical Sciences, Inc., CryoCath Technologies, Inc., BioLife Solutions, Inc.) at various times. Dr. Kristi Snyder (Steponkus Crystal Award), Cell Preservation Service, Inc. Director of Operations, CPSI Biotech, Inc.
Dr. John M. Baust ( Steponkus Crystal Award), Cell Preservation Services, Inc. President of CPSI Biotech, Inc.
Dr. Wei Tang, Amgen Inc.
Dr. Aby Mathew, BioLife Solutions, Inc.
Dr. Zhoua Chang, Microport, Inc.
Dr. Kimberly Berdine, Staff Scientist, CPSI Biotech, Inc.